The SDI Series flow sensor from Badger Meter with integrated transmitter is available in either brass or stainless steel. The ideal choice in Building Management and Automation Systems and HVAC applications as well as for general industrial usage, The impeller is rugged and non-fouling and does not require any custom calibration to operate. The SDI Series is available with a frequency output, analog 4-20mA output, and operator scaled-pulse output. 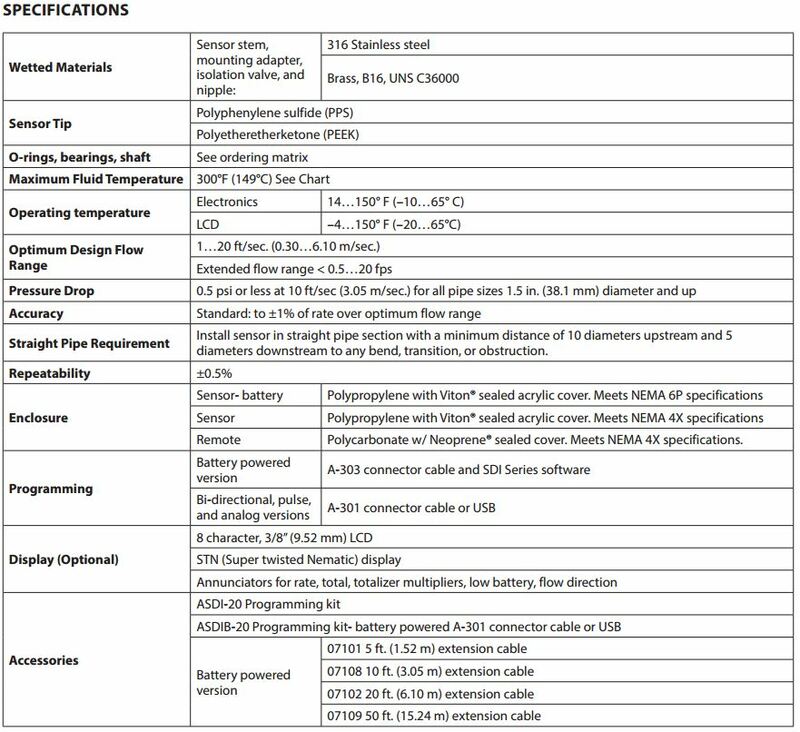 The display is optional and programming is done using the A301-20 Programming Kit. Stainless steel models are available with a standard PPS material tip or PEEK (polyetheretherketone) for high (up to 149 °C) fluid temperatures. 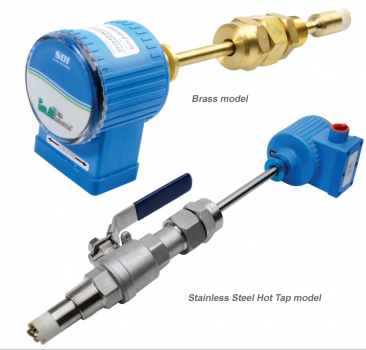 Hot Tap stainless steel models are also available for bidirectional flow measurement. These hot tap stainless steel flowmeters include isolation valve and mounting hardware and enable flow meter installation and removal while the piping system is full and pressurized, therefore making system shutdown is unnecessary.